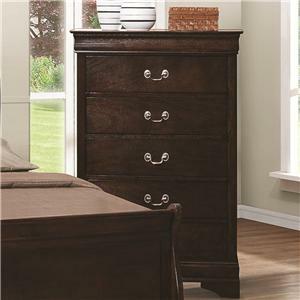 Bring beautiful storage space to your bedroom with the Louis Philippe Dresser. 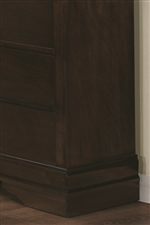 Crafted from select hardwood and veneers, it has a rich cappuccino finish. 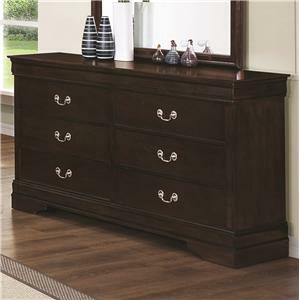 Six drawers provide plentiful storage space for clothing and apparel items. 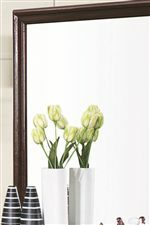 Each drawer is decorated with a single silver bail handle hardware, and metal and metal glides ensure easy opening and closing. 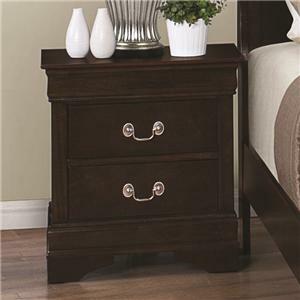 Straight edges and clean lines characterize the dresser's structure. 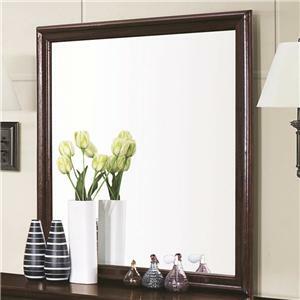 Accompanied is a matching framed dresser mirror. 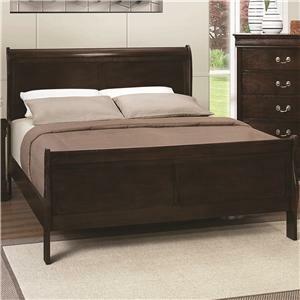 Square in shape, it sits perfectly atop the dresser for a lovely bedroom duo. 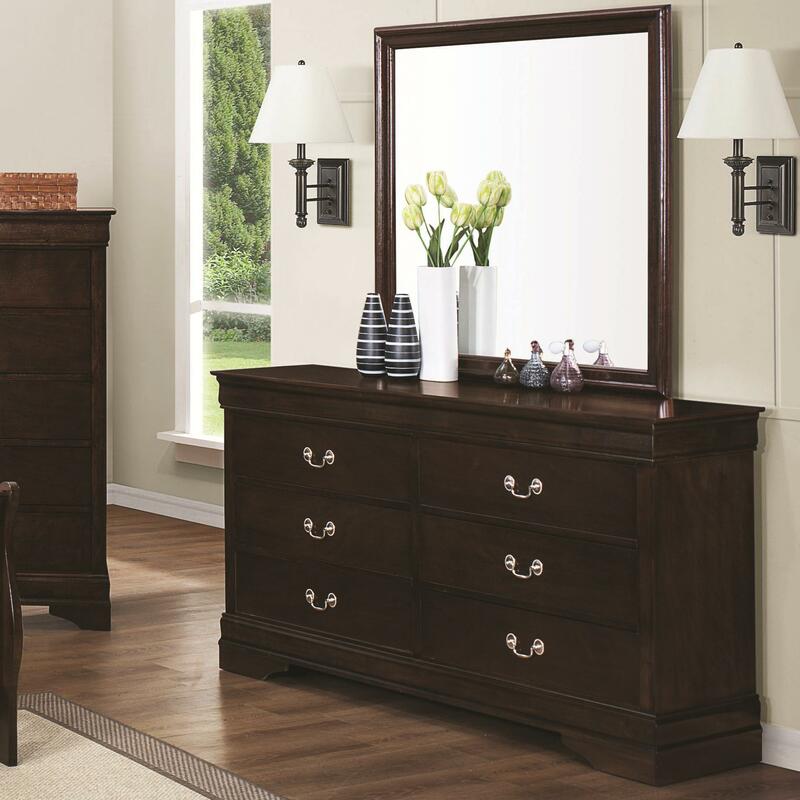 The Louis Philippe 202 Drawer Dresser & Square Mirror by Coaster at Value City Furniture in the New Jersey, NJ, Staten Island, Hoboken area. Product availability may vary. Contact us for the most current availability on this product.